Since coming back I have used the new protocols on many patients with FABULOUS Success! Keri-Lyn: my eyes became clearer after the eye adjustment! Robert: ‘My migraine lessened in intensity and the next one was not as frequent and was less intense’ Wow thank you for changing my life! The cranium or bones of the skull can go out of alignment when we undergo a vigorous shake, bang your head on a trunk or shelf, whiplash, and fall and hit our heads. Dr. Barbara Rodwin can evaluate the motion and condition of these skull bones. If there is a bump, or other changes to these skull bones Dr. Rodwin can adjust them to aid in resolving the headaches and migraines. Ask for your skull or head to be examined! Acuballs are AMAZING to release tension! We’ve created a video explaining how to use an Acuball to relieve headaches/migraines – check it out! 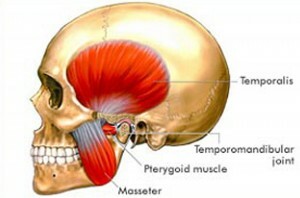 The jaw has a direct into relationships between the skull and then neck. When you talk the top part of your neck does move. People with either headaches, migraines or concussions often have issues with their jaw which are sometimes not addressed by certain health care providers. 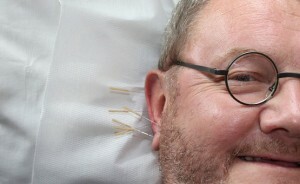 2 new systematic reviews found that acupuncture can provide patients who suffer from tension and migraine headache an alternative treatment for pain. Did you know that 80% of headaches are neck related? Headaches and migraines are common pain events for many people, and they are often recurring. A variety of prescription and over-the-counter medications may control headache and migraine pain, but they only mask the pain without addressing the cause. These medications may also have side effects, especially with long use. 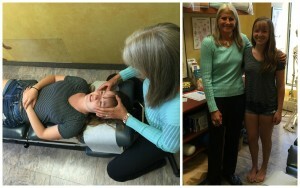 Hoping to find a more natural and holistic solution to chronic headaches, many people turn to chiropractic. Research shows that spinal adjustments– the primary form of care provided by doctors of chiropractic – may be an effective treatment option for tension headaches and headaches that originate in the neck. Chiropractic adjustments aid with these as well, can adjust different ways dependant on what the patient would like and prefer. Some patients are not fond of the ‘cracking’ noise with a neck adjustment and the neck adjustment can then be changed to several other types that do not cause the noise. Dr. Sarah (our naturopath) and Ashley (one of our Registered Massage Therapists) practice cupping which can help with the tension in the neck, shoulders, and upper back that are interrelated with headaches, migraines, and concussions. Feel free to book a 15 minute complimentary meet and greet with our naturopath! 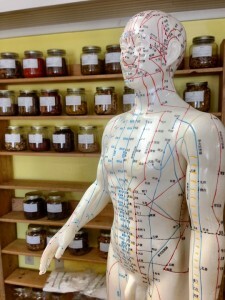 Ask our practitioners if cupping therapy would aid you. We also have a cupping video explaining and demonstrating cupping therapy – check it out! To increase oxygen to the brain. 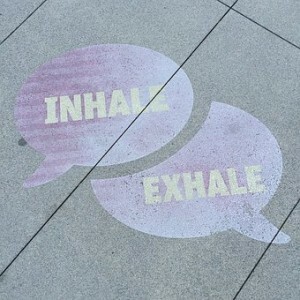 For some specific breathing exercises that can help you, follow this link! These can range from abdominal breathing, to the stimulating breath (also known as the bellowing breath), to the 4-7-8 (or the relaxing breath), to breath counting! All of these can aid with the symptoms from headaches, migraines or concussions. It is good to actually try each of them to be able to see how they would help you. Late last year, Andrew took courses for the spine and is looking forward to taking some more courses this year, including an ART spine course in July in Niagara. Similar to ART, there is a complete set of protocols for treating the head, spine, and pelvis in Functional Range Release. 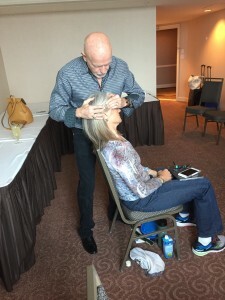 Additionally, this course included a detailed training in palpation (helps to locate the muscles and better identify what is causing the problem).Overall, Andrew explains that it is a better way of assessing the sources of back, head, and neck pain. Andrew has taken multiple Functional Anatomy courses and is excited to integrate this into his treatment. Call in (613) 237 3306 to book a visit with him to find out how he can help you!